Hello all. I know that there have been posts for cages here and there and that lots have been posted over time. But times change and cages do too. For a lot of USA folks cages have really been disappointing when compared to the wonderful cages across the pond. Please note I have listed small cages too. 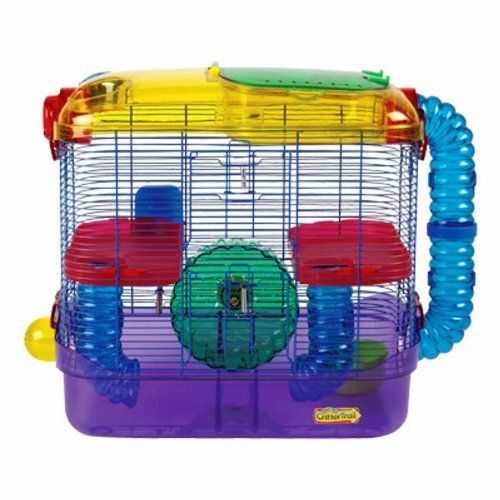 These can be useful as travel cages, holding cages when cleaning out the regular one, and medical cages when a hammy needs to rest and be monitored. Note that I have listed the prices and I have also listed all the measurements, both inches and cm so people have a way to compare them. 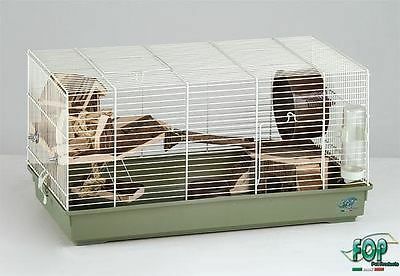 I hope to surprise some USA members as we do have some cages now that do meet decent standards. 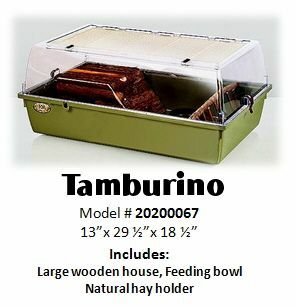 I hope this is useful and makes for some happy hammies and hammy owners. Also at "That fish place"
Last edited by souffle; 01-15-2015 at 01:13 PM. COMES WITH EVERYTHING YOU NEED! 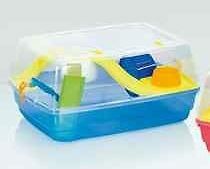 WATER TUBE, FOOD DISH, 2 HIDEWAYS, WHEEL AND 3 LEVELS FOR YOUR HAMSTER TO PLAY ON. 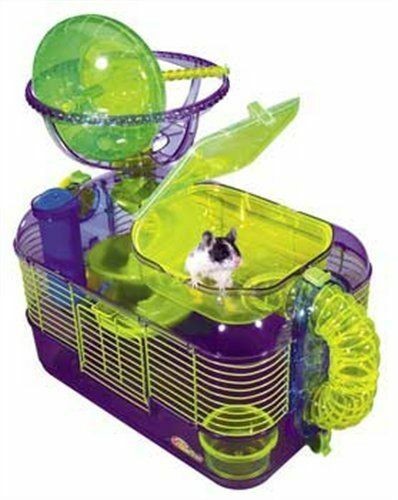 COMES WITH: PLASTIC WHEEL, WATER TUBE, HOUSE, BOWL, AND LEVELS FOR YOUR HAMSTER TO EXPLORE. I use the Critter trail 2 as the center for one of my tank setup...it was used for Ted E. Bear. It's empty now. See photo. It holds the Carolina Storm Wheel just fine and that wheel is 11" tall. 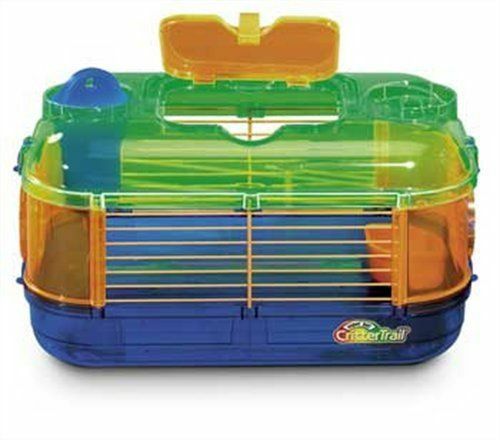 The really little cages would be just as carriers to the vet. 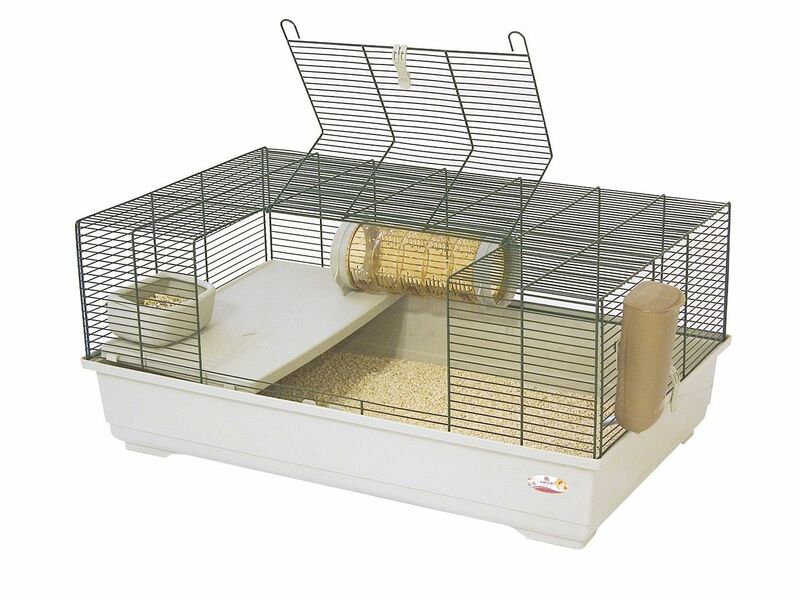 The medium sized ones can be used for a hospital cage or a travel cage on trips. 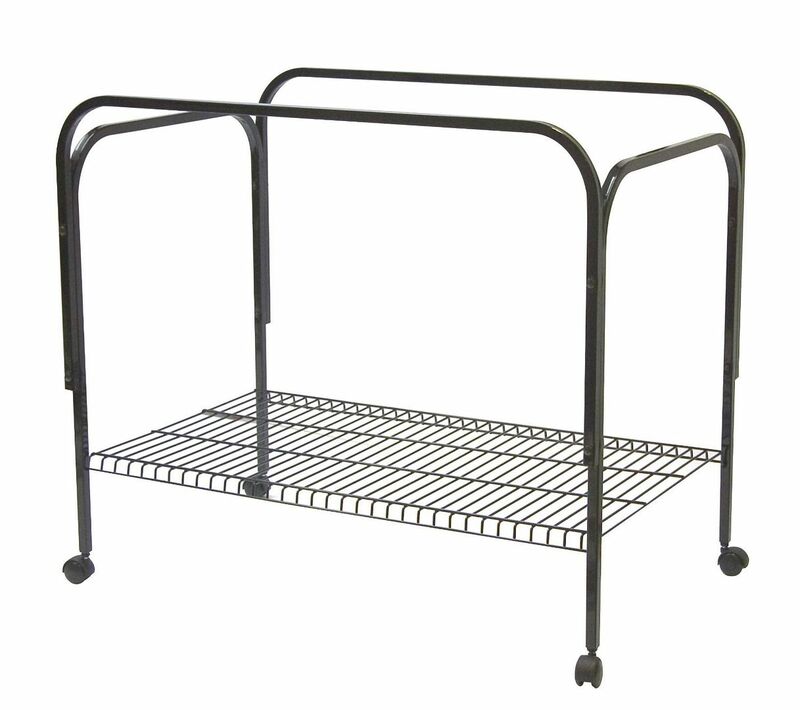 None of the small cages are really any good as a stand alone cage. We have a far way to go to get to the kind of cages they have outside the USA. And that's a real shame. Thanks Souffle. I really do wish I could get my hands on some of your cages. Do you know I checked last night, and I can get some...but the shipping was $109.00 USD!!! I'd be paying $300.00 USD total for 1 cage! Not gonna happen. I'm UK based but one thing I have noticed are those from the US having problems finding decent cages. I think it's great you've gone to the trouble of putting together this list . That being said I am horrified at the prices!! I have a stand for my cage that is pretty much the same as the Marchioro Vekto Cage Stand, I bought it from Amazon and it cost £21.99 ($33.36 US Dollars)! I can't help but feel that you guys in the US are getting ripped off . I have the Marchioro Kevin (bought from member here) and I am really happy with it. 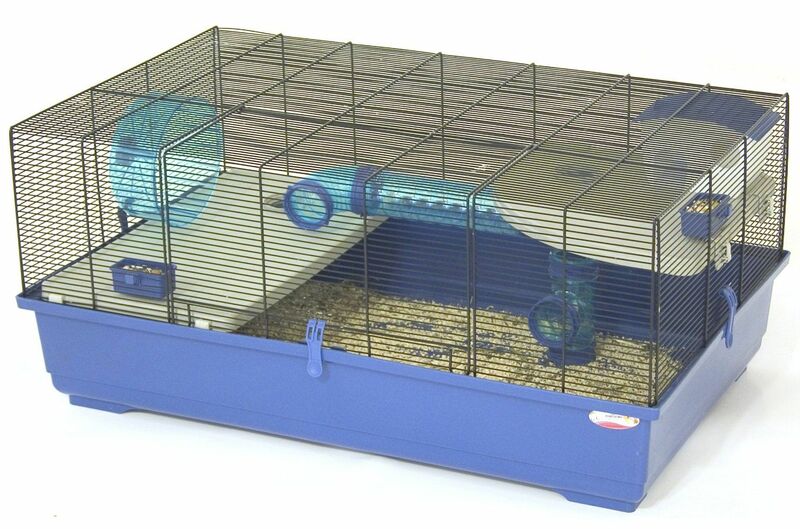 If you can swing the cost as new or find a used one cheaper, it is an awesome hamster cage. Lots of room, easy to clean, and full visibility. My guy wasn't a bar chewer so that wasn't an issue but he was a crazy climber. My second choice is still the large aquarium. 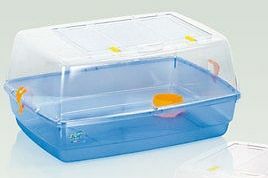 I have a reptile tank that is a little smaller than a 30 gal breeder tank and it is an awesome cage too. They can be pricey bought new, but I got mine off craigslist for $30. Tanks can be found used pretty easily. Petco still has their $1 per gal sales a few times per year too. 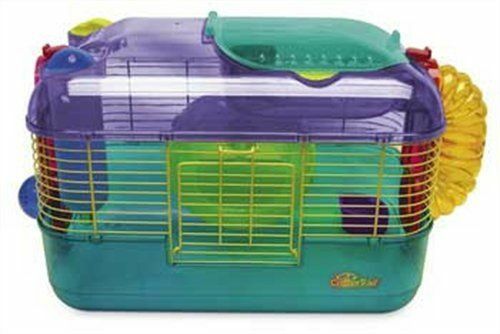 Home to 3 curious Guinea Pigs, 1 Syrian hamster-Totoro, 2 Campbell's-Aries and Gemini, a doggie  trouble maker, and 4 busy kids! That's a great post Dr McK - it will save people a lot of searching and headaches. Good post DrKMcK. I got the Marchioro Goran 82 cage with the vekto 82 stand. I was back and forth between the Goran and the Kevin, but took the Goran because I simply preferred the colors. The bar spacing on the Kevin will house dwarfs though. The bar spacing on the Goran is 1/2" and the Kevin is less than that. I got the Goran from http://www.drsfostersmith.com for $100 US and the veto 82 from Amazon for $79 US. 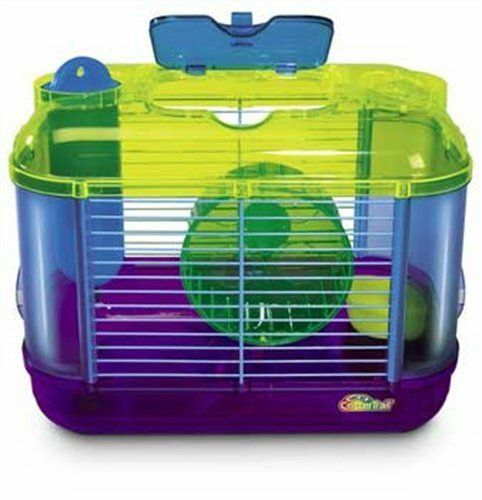 For a hamster cage in the US, I felt the amount of room was the best. I was able to fit a 12" flying saucer and a 12" Wodent Wobust Wheel. I also like the darker colored bars on the Goran and the Kevin. It seems like it's easier to see the hamster. I also LOVE the huge door on the front. It makes cleaning really easy. Last edited by virtualkeith; 06-19-2015 at 11:14 PM.